"Here were all those people I'd never laid eyes on before. They don't even know us but they're doing this volunteer work that helps us. I don't even know the words to say thank you for that." The next house built was on a property on Wakesiah Avenue which was donated by its former owner, Ann Scott. 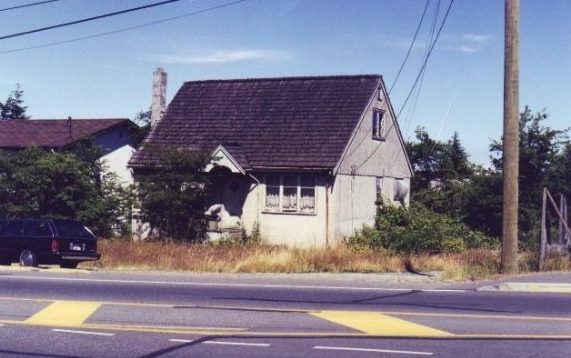 An excavator and demolition crew tore down the condemned house to make room for the new single-detached three-bedroom home. Through the demolition, as much as possible, the materials were recycled and reused for the new house. 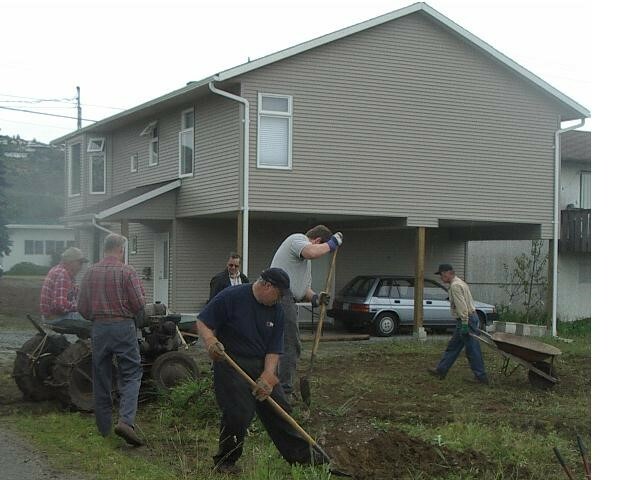 The family was selected before Christmas in 2003, and in joining the team of volunteers to demolish the old house, Sandra commented, “I was so dumbfounded. Here were all those people I’d never laid eyes on before. They don’t even know us but they’re doing this volunteer work that helps us. I don’t even know the words to say thank you for that. It’s enriched my life already by knowing them.” The dedication ceremony was in early 2005 when the new family received keys to their new Habitat home.